The path to enlightenment starts here… And so, into the far-flung space year of 2019 we go. Looking back on our personal musical triumphs and not-quite triumphs of 2018, it’s easy to think, ‘Ah, if only I’d that done it this way,’ or, ‘I should have recorded it with that.’ To help us prepare for a more productive year, then, we’ve compiled the most useful, resonant and simply inspiring tips and wisdom from the assortment of producers, artists and composers we’ve spoken to in recent months. Also in this issue, Dave Gale explores the world of orchestration, and explains how it can be brought to your home studio in the first of a two-part feature. Later, we speak to UK mic pioneers Aston Microphones in our Industry Gurus feature, who shed light on their wonderfully dexterous new microphone: the Stealth. We also have a chat with keyboard wizard Mike Patrick, a successful touring instrumentalist who is currently on the road with The Streets. 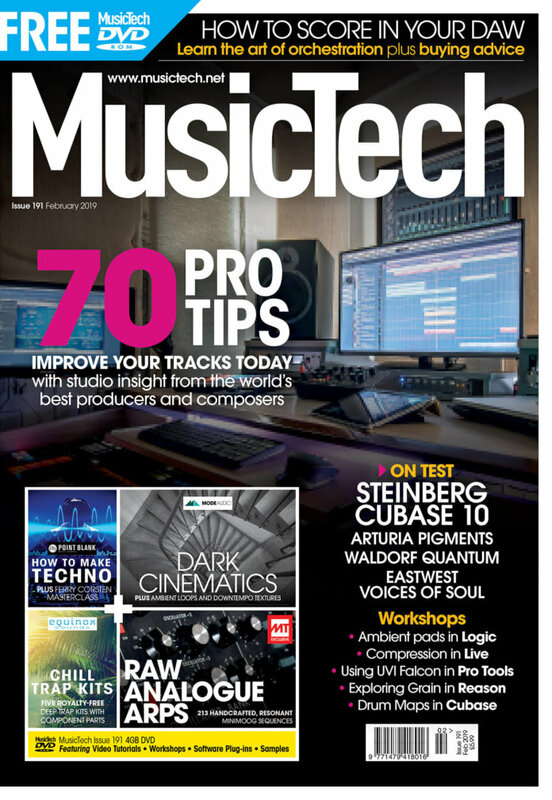 We also have our usual range of reviews of new products, including the latest version of Cubase, as well as tutorials for all the major DAWs and tips and guides on numerous facets of music and production. I hope you enjoy this issue and wish you a happy new year of music-making!